My cat is always very scared of any noise or new person. Grooming him in the past was always synonym of torture for him and he was traumatised as soon as he understood the groomer was coming. But with Anita, the approach was completely different. He started panicking when he understood what she was here for, but she asked me to hold him gently and cuddle him whilst she was grooming him. She approached him very gently and the panic disappeared really quickly. My cat was half in my arms but she gently combed him. Anita’s technique with the clipper was AMAZING!! He didn’t see/hear/feel it coming and she was able to shave the mats without him panicking at all (it’s generally the WORST part). My cat was uncomfortable during the session as he doesn’t like to be combed, but there was no struggle, no panic, no fear which is such a relief for both of us!!! After the session my cat was happy and relaxed, absolutely not traumatised as he usually is. Thank you so much Anita for your amazing job! Soon my cat will forget his past grooming experience and maybe one day he’ll even enjoy it! Holistic Low Stress Handling Cat Grooming London, UK. from Feline Behaviour Consultancy on Vimeo. 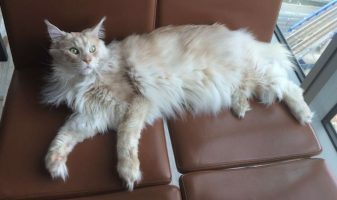 Why does our East London cat groomer stand out? 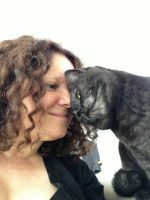 Marion Houlet and Baby Boy were happy with their East london cat groomer and you and your cat will be too!